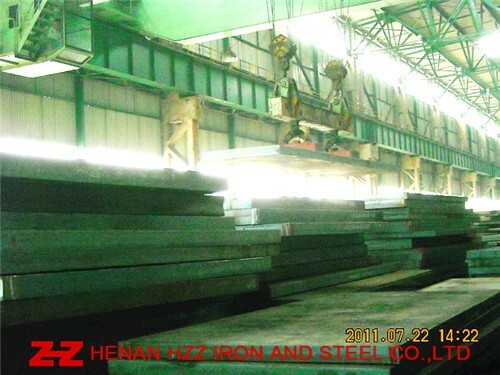 API Spec 5L PSL2 X60 (L415) Pipeline Steel Plate is used in Oil and Gas Project. API Spec 5L PSL2 X60 (L415) Steel plate,API Spec 5L PSL2 X60 (L415) Steel Plates,API Spec 5L PSL2 X60 (L415) Steel Sheets, API Spec 5L PSL2 X60 (L415) Steel Sheet. UT (Ultrasonic examination), AR(As Hot Rolled only), TMCP(Thermal Mechanical Control Processing), N(Normalized), Q+T(Quenched and Tempered), Z Direction Test(Z15,Z25,Z35), Charpy V-Notch Impact Test, HIC test, NDT, PWHT( Simulated Post Weld Heat Treatment), NACE0175, The Third Party Test (Such as SGS Test), Coated or Shot Blasting and Painting.